As I have mentioned before, I am a huge fan of customized and personalized print items. There’s just something about having an item with either your name on it or a print you chose that makes it more special when you get to use it. 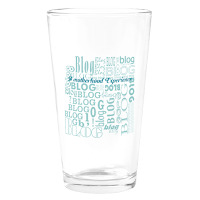 Have fun at your next get together with a personalized Pint Glass by CafePress! Buy a drinking glass (or set) online and create a cool vibe for sporting events, holiday celebrations, or whatever occasion you can think of that may require a little conversation piece! 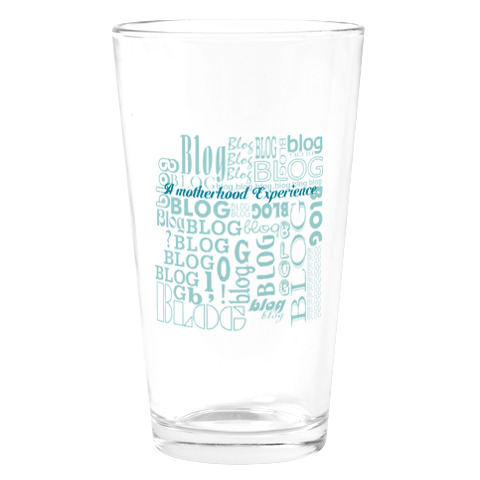 The glass itself holds a pint (470ml) and the print itself is clear and well printed. 100% CafePress satisfaction guarantee! I find it hard to find many items geared toward bloggers like me so I chose a blog-themed print. 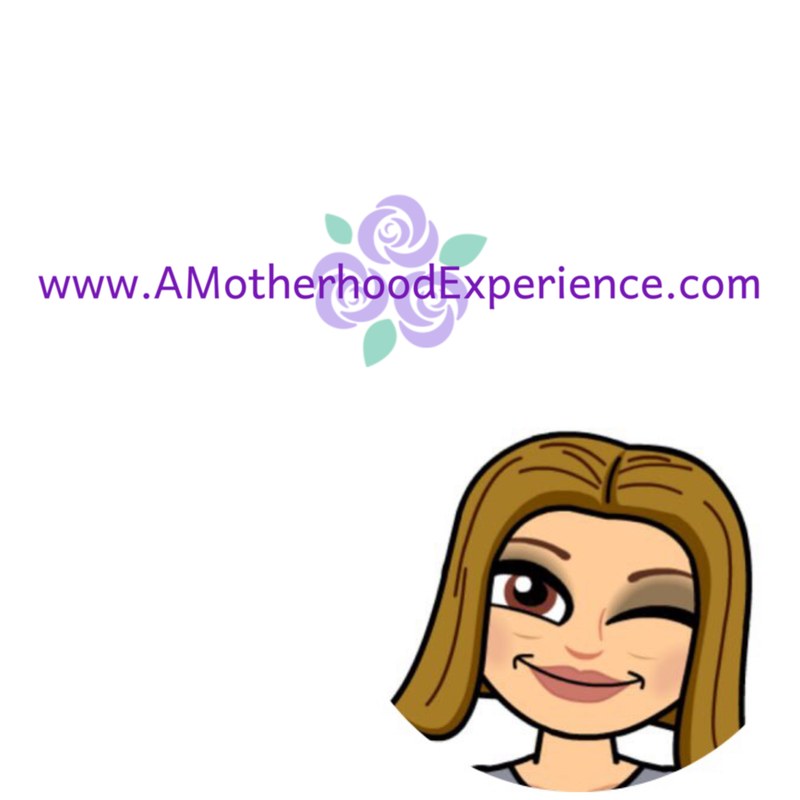 It has the word “blog” all over in different fonts while right in the middle in bold print is my blog name “A Motherhood Experience” - The perfect personal touch! I will be enjoying many a cold beverage in my new personalized Pint Glass for the remainder of the summer. Another great item that CafePress recently added to their wonderful collection is their personalized and custom Laptop Skins. As a blogger, having a laptop skin brings a little personality to my netbook! Personalize your laptop with a CafePress laptop skin. Find custom skin covers for PC (Toshiba, Acer, Dell, HP & Asus), Apple Macbooks and Netbooks (Acer, Asus, HP Mini) choose from various designs to suit your personality. Laptop skins come in sizes from 7” to 17” and there is a size chart available to check out to make sure you have the right size before you order! As usual it was hard to decide on what print I wanted for the laptop skin. I decided to choose an appropriate blog-related theme. 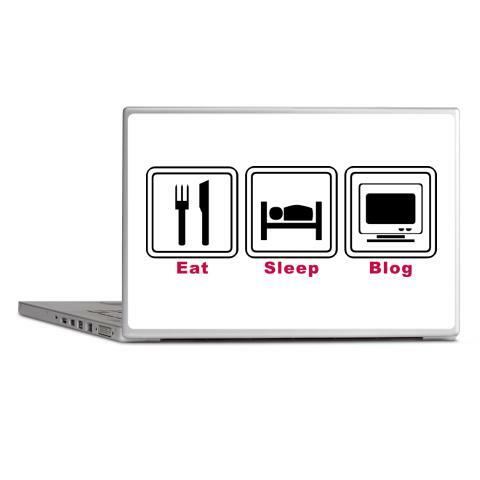 I chose a logo that has a knife/fork, bed and a computer, underneath it says “Eat, Sleep, Blog” which is pretty much what I do (aside from taking care of the kids) Perfect! Not only are laptop skins great to add that personal touch but also great for protecting the outside of your laptop from dings and scratches. The laptop skin is very nice, I would recommend one of these for a blogger in your life or even for your next blogging conference or summit, something to add a little personality to your personal computer from CafePress.ca. Posted on behalf of CafePress.ca. Product received as a thank you. Comments and opinions on this blog are those of the author. I could spend hours, but the Van Gogh Starry Night Laptop Skin caught my eye right off. I like the Hockey Laptop Skinns.I would get one of those for sons netbook.